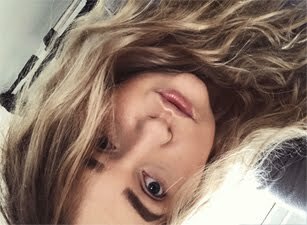 Not long ago I decided to re-ombre my hair and my hair got even more drier, so I got myself really into haircare. 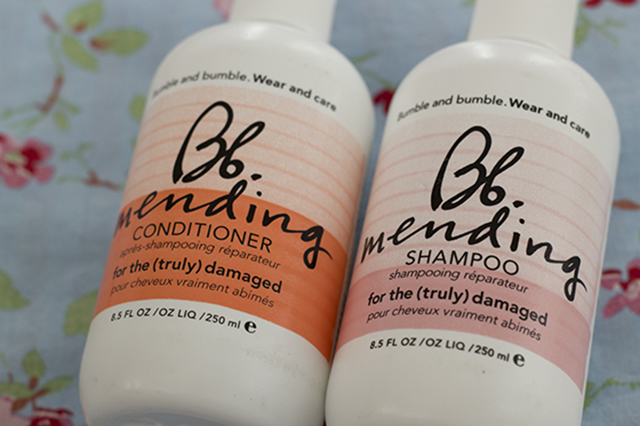 I been using the bb mending shampoo & conditioner since February, so I gave it a fair amount of time to try out. I am very picky when it's comes to shampoos as I have very sensitive scalps, so I normally look for one which would be moisturising and rich. I have very dry and damage hair overall, they also tend to go frizzy. The bumble and bumble mending shampoo is actually a average shampoo, I don't really feel like it have made any difference to my hair, it have just worked in the same way as most shampoos which I use, but I must say that it's works really well with my scalps. In my opinion the shampoo does lightly clean, what I mean by that is that I won't do a deeply clean out all of the dirt from the hair. Normally I have to wash my hair every 2-3days, after using this shampoo my hair feel greasy and oily on the next day. Not going to lie the shampoo is expensive, so I did have high expectation for it. However the conditioner is amazing! Leaves my hair feeling really soft and healthier looking. My hair are less frizzy whenever I use it. I like to use the conditioner with other shampoos. I normally keep it on my hair for around 3 minutes. I am really temped to try the bb mending complex, have any of you had a chance to try it out? Wish that both products could have a nicer scent, which will linger for longer on the hair. 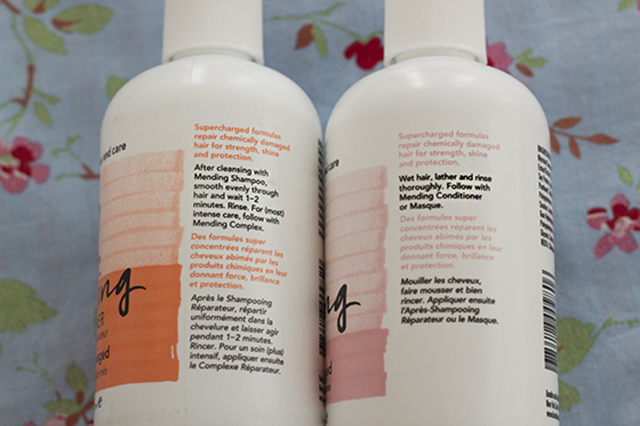 I often find that it is the conditioners that work better than shampoos in sets like this. It's a shame you didn't love the shampoo for that price!